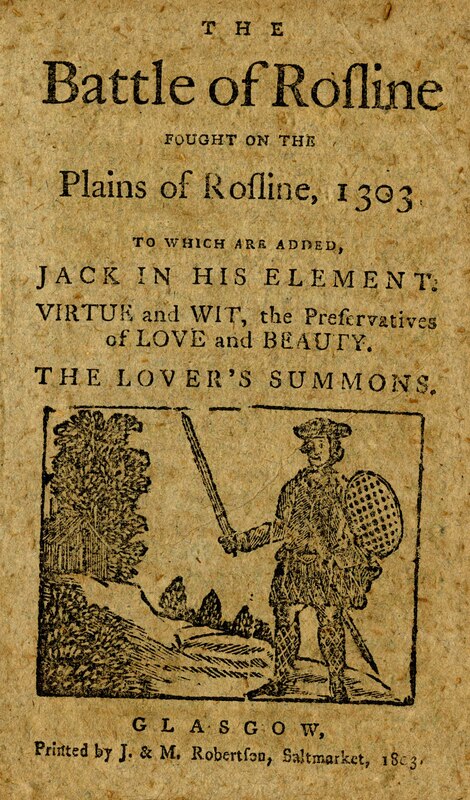 The Battle of Rosline fought on the plains of Rosline, 1303 to which are added, Jack in his element. Virtue and wit, the preservatives of love and beauty. 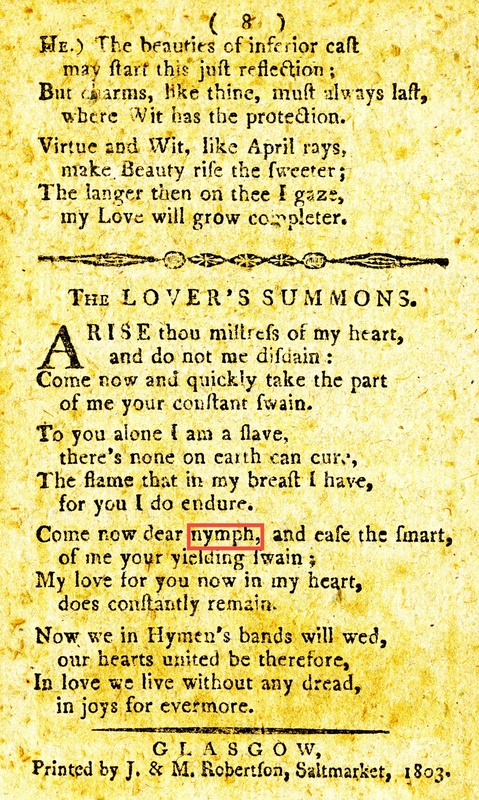 The lover's summons. The first song is a celebration of the Battle of Rosline, which had occurred 500 years earlier. The song celebrates the bravery of the Scots who overcome 3 to 1 odds and route the English, featuring a romanticized depiction of medieval Scots fighting in tartan plaid and bonnets. 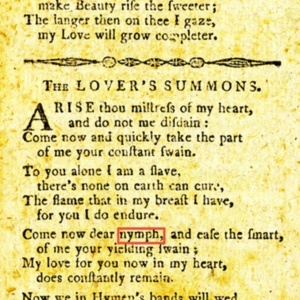 The second song is the humorous portrayal of a sailor who has a wife at “every port.” The last two are love songs where young men declare their undying love to their sweethearts, with varying degrees of success. JPEG derived from master file, which was scanned from the original book in 24-bit color at 600 dpi in TIFF format using an Epson Expression 10000XL scanner. PDF from PDF-A file. 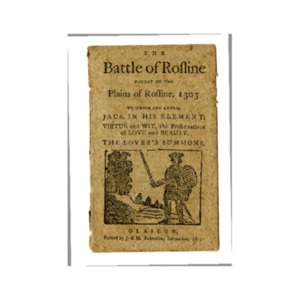 “The Battle of Rosline fought on the plains of Rosline, 1303 to which are added, Jack in his element. Virtue and wit, the preservatives of love and beauty. 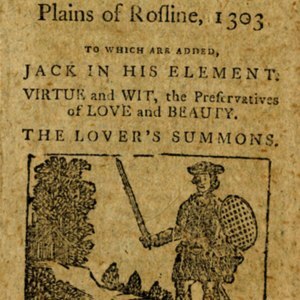 The lover's summons.,” Scottish Chapbooks, accessed April 25, 2019, https://scottishchapbooks.lib.uoguelph.ca/items/show/547.